Looking for the perfect way to profess your love to the architect in your life? 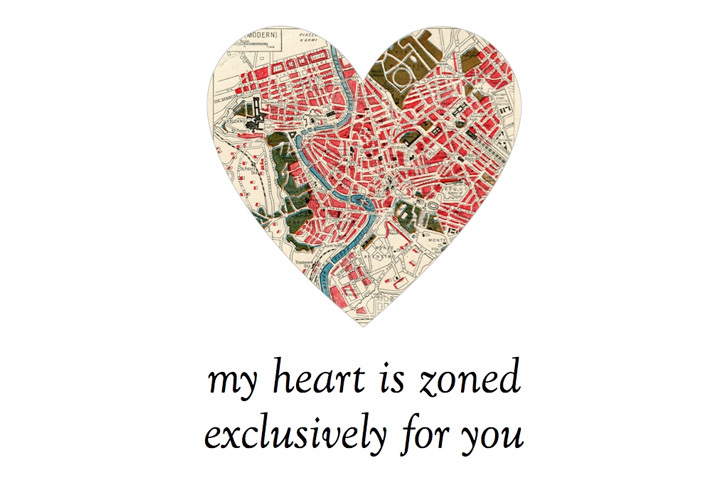 You’re in luck because the brilliant minds over at PlanningLove.org have created the sweetest series of V-day cards, designed especially for architects, planners, landscape architects, transportation engineers, and all of those who love them! The brain child of Berkeley, California-based designers Anirvan Chatterjee and Barnali Ghosh, PlanningLove.org is chocked full of punny cards featuring chuckle-inducing quips and innuendos like “Can I pop up your parklet?”, and our favorite, “Baby, I’m a heat island for you“. Inspiration for the designs were taken from Jeff Speck’s Walkable City and Taz Ahmed’s #MuslimVDay project. Check out all the cards here! Looking for the perfect way to profess your love to the architect in your life? 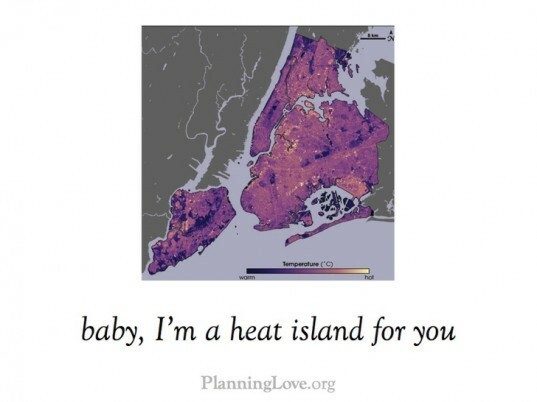 You're in luck because the brilliant minds over at PlanningLove.org have created the sweetest series of V-day cards, designed especially for architects, planners, landscape architects, transportation engineers, and all of those who love them!